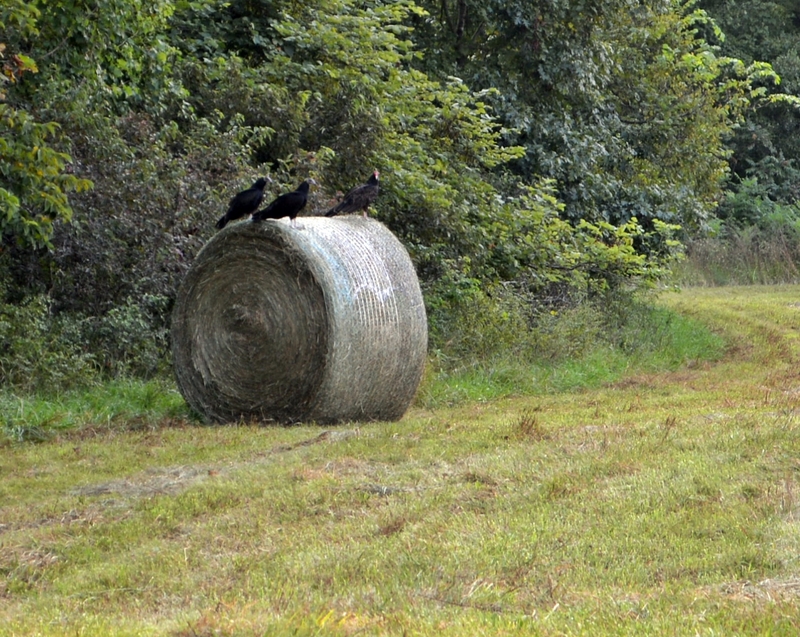 I went back to the hayfield with my camera to prove that vultures love freshly cut hay. Vultures looking for casualties from baling. It’s hard to tell how big the bales are, so here is a comparison – our Polaris Ranger and a bale. This entry was posted in Castle Argghhh Farm and tagged Hayfields, Vultures. Bookmark the permalink. Do you ever get any vulture feathers. I’ve never really looked for any. I should see if there are any around. I counted 11 vultures in the hay field last night. Wouldn’t a round baler with a kicker be something to see?